Last year I was SHARKNADO. It devastated the party and caused chaos and mayhem that lasted days. This year – the zombie apocalypse was in full effect. I never thought I would like The Walking Dead but once I started watching it this past summer, I was hooked! 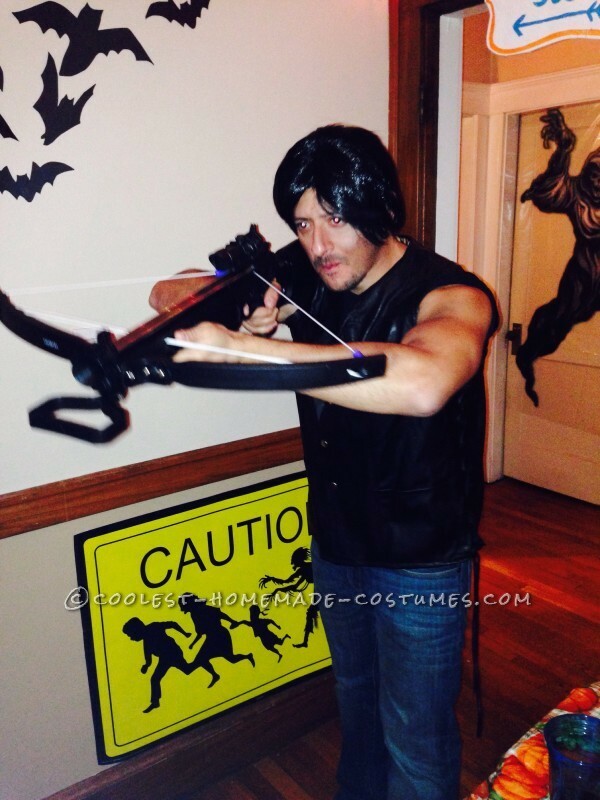 I decided to be Daryl Dixon from The Walking Dead for Halloween 2014! 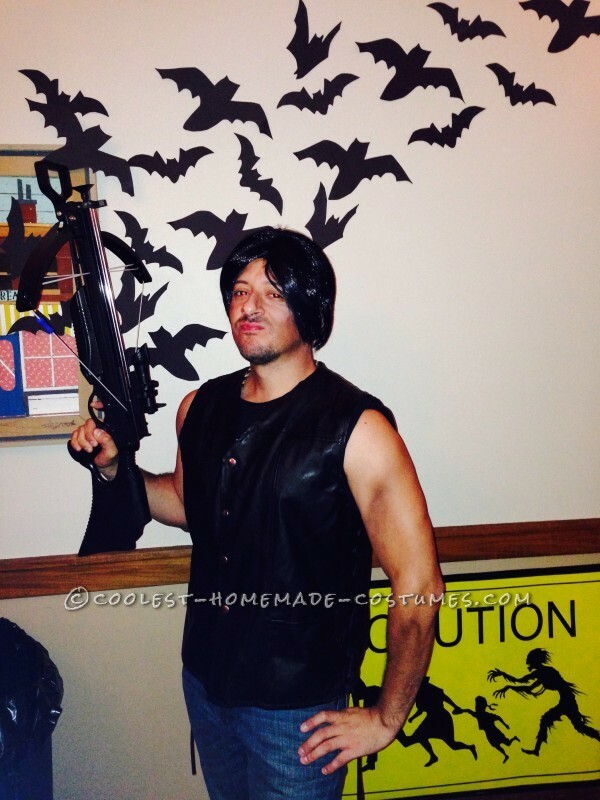 A crossbow with arrows, an emo hair wig, dirt, and leather black vest overpowered any “walkers” in the party. Anyone at the party who watched Walking Dead, immediately knew my costume. People actually spent most of the night setting up “targets” using my crossbow and arrows. It was definitely a hit! I would advise to have some kind of blood stain on your shirt or face – for extra effects. Overall, it was awesome!